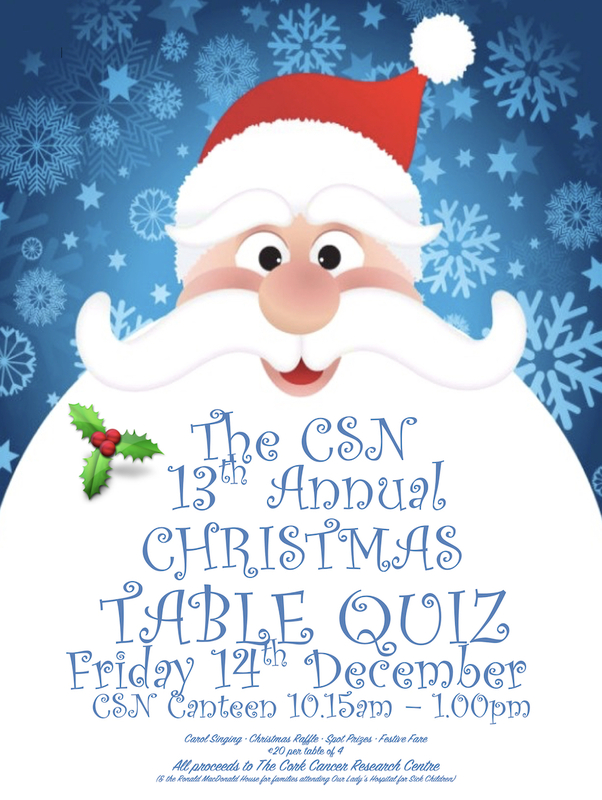 Don't miss the Annual CSN Table Quiz! Friday. 14th Dec., 10.15-1.00pm. A great day for some very good causes. The Annual CSN Christmas Table Quiz! As always it is a great day for some very good causes (Cork Cancer Research and The Ronald McDonald House). There will be spot prizes, a raffle, and the day will kick off with some carol singing.